One thing that stands out about this wedding was it was a Persian Catholic ceremony. In this photo the bride's father and mother walk her to the Sofreh where she is joined for the first time with her groom. The two will sit at the Aghad table during the Persian rituals. 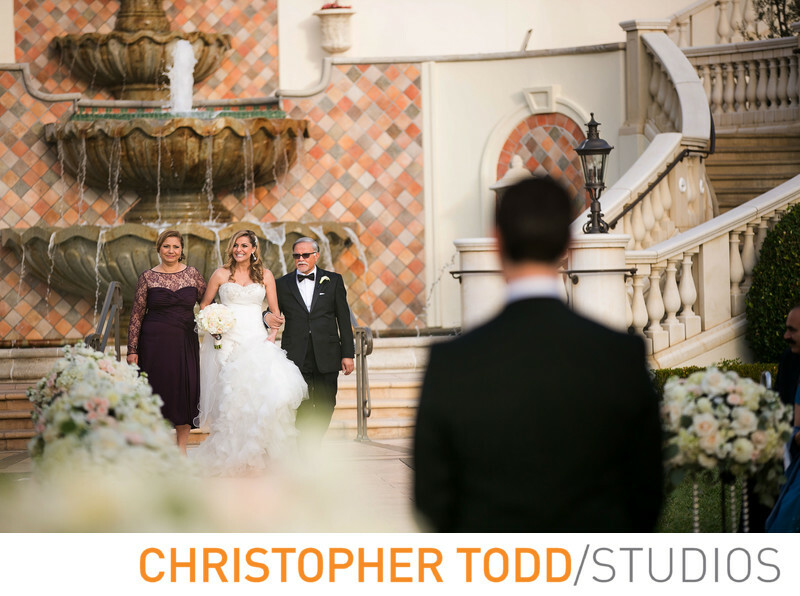 Monarch Beach Resort is a perfect wedding venue for luxury weddings like this outdoor ceremony. 1/500; f/2.8; ISO 100; 155.0 mm.